I really don’t like chicken breasts. I find them generally to be pretty bland and tasteless and most of the time they are dry due to overcooking. Plus, they are expensive so I generally avoid them. 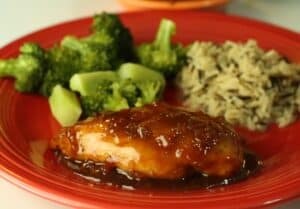 This recipe had sort of a Chinese food feel to it (Orange chicken) but it is a bit different in that the chicken isn’t fried and the glaze is much better than anything I’ve ever had in a Chinese dish. Pan seared chicken with a slightly spicy and sweet orange glaze. 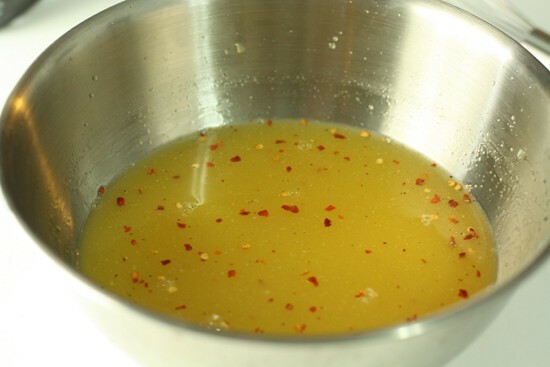 1) To start glaze, combine all of the above glaze ingredients together in a bowl and whisk them together really well. 2) Take your breasts and give them a liberal dose of salt and pepper. Then dredge the breasts in flour. Dust them off afterward. You want a light coating of flour that will basically help the glaze adhere to the chicken later on. 3) Heat up your two teaspoons of oil over medium-high heat in an oven-safe pan, in this case I used a cast iron skillet. 4) Once your pan is hot, sear your chicken for 4-5 minutes a side. 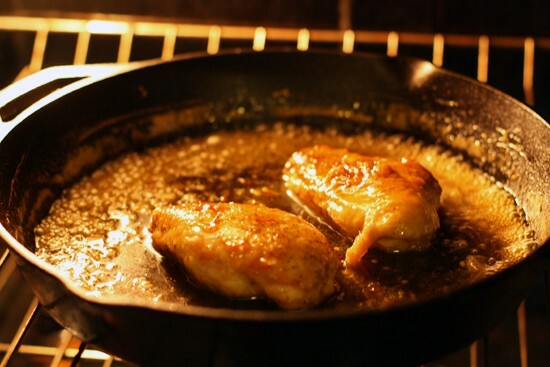 5) Take your chicken out of the pan once they are seared. 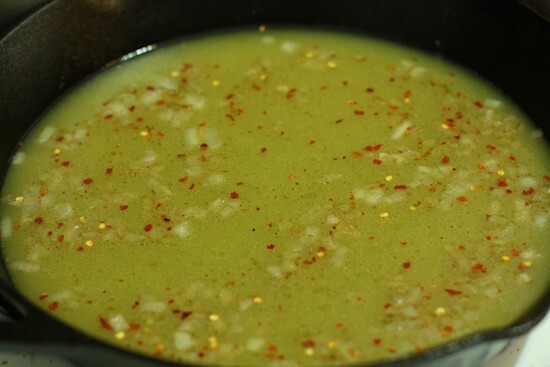 Pour out all of the fat and oil from the pan besides about a Teaspoon. Then pour all of your glaze into the hot pan. Scrape up any bits of chicken and let that simmer away. 6) Preheat oven to 350 degrees Fahrenheit. Simmer glaze for 10-15 minutes to reduce down. Eventually that orange glaze will reduce down to a syrupy sauce. It should easily coat the back of a spoon or spatula. 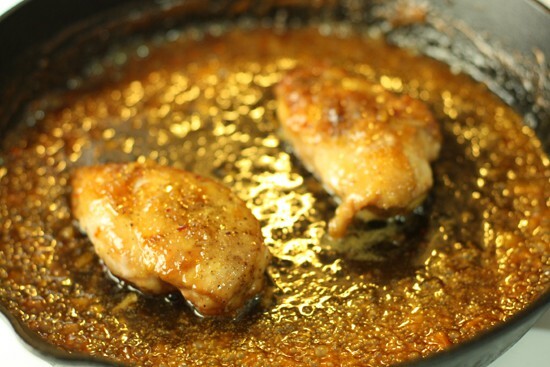 7) Add chicken breasts back to pan and turn them over in the sauce, making sure to coat them well. Then put the entire pan in the oven at 350 for about 15-20 minutes or until the chicken is cooked through. 8) After they come out of the oven, the chicken will be glazed nicely and the sauce will be reduced substantially. 9) Take the chicken out and let it rest for five minutes. Return the glaze to the stove top. If you were not using an oven-safe pan, then scrape whatever glaze is left in your baking dish back into an sautee pan. Put this on medium-high heat and let it reduce even further. 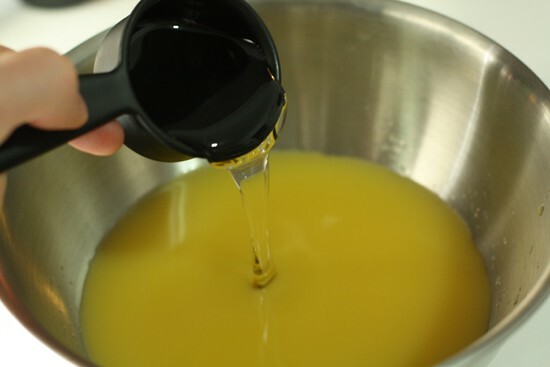 10) Add your final 3 Tablespoons of orange juice to the pan. It will give the final glaze a nice orange flavor and color. After it reduces for a few more minutes, pour it right on top of your chicken. Recipe adapted from America's Test Kitchen 2009. First thing first, let’s get our glaze ready. Basically, combine all of the above glaze ingredients together in a bowl and whisk them together really well. The corn syrup and honey will not want to play nice, but if you whisk for a few minutes they will combine alright. Corn syrup gets a bad rap. Some people are anti-corn syrup, but there isn’t a lot in this recipe and it does give the glaze a really nice consistency in the final product. It also isn’t as sweet as you might think. It is almost more of a thickener than a sweetener. Regardless, you want it. This already tasted pretty good. Next for the chicken, take your breasts and give them a liberal dose of salt and pepper. Betsy doesn’t like skin on her chicken breasts (blasphemy), but I do so I did one with skin and one without. 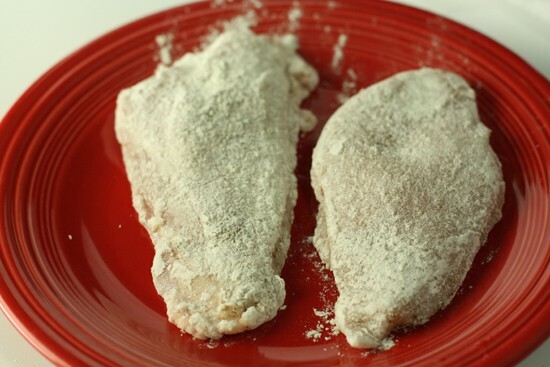 After some salt and pepper, dredge the breasts in flour. Dust them off afterward. You want a light coating of flour that will basically help the glaze adhere to the chicken later on. One skinless and one skin…ful. Heat up your two teaspoons of oil in an oven-safe pan, in this case I used a cast iron skillet. If you haven’t noticed, I use my cast iron skillet more than any piece of equipment in the kitchen. If you don’t have one, I highly recommend them. Lodge makes a pretty good one. Once your pan is hot, sear your chicken for 4-5 minutes a side. The breasts get a tan. 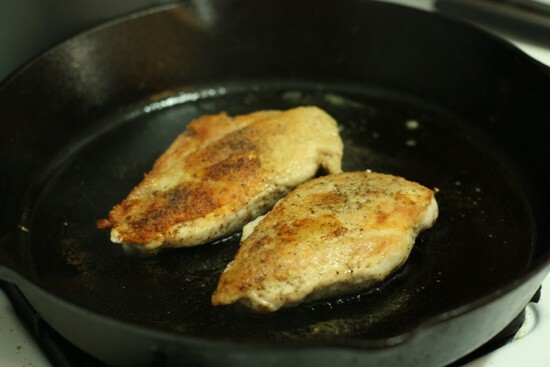 Once both sides are seared, take your chicken out of the pan. It is medium rare at this point which is not where you want chicken. Don’t worry. We’ll get back to it in a minute. Next, pour out all of the fat and oil from the pan besides about a Teaspoon. Then pour all of your glaze into the hot pan. Scrape up any bits of chicken and let that simmer away. This starts to smell good immediately. This will need about 10-15 minutes to reduce down. Meanwhile, I noticed I had an audience. 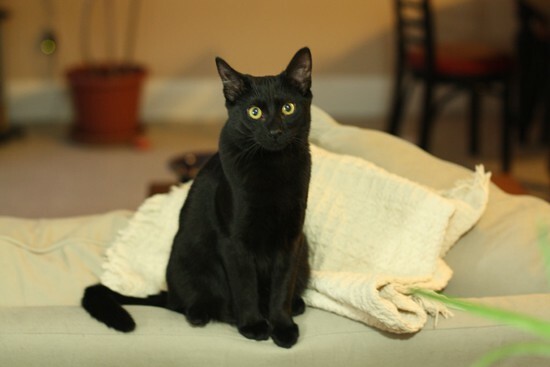 Tipsy likes to watch me cook every night. I snapped this photo while waiting for that glaze to reduce. Eventually that orange glaze will reduce down to a syrupy sauce. It should easily coat the back of a spoon or spatula. Reduced down to a syrup. Take your chicken breasts and turn them over in the sauce, making sure to coat them well. Then put the entire pan in the oven at 350 for about 20 minutes or until the chicken is cooked through. If you don’t have an oven-safe pan, you can transfer the whole deal to a baking pan. Just make sure the chicken is coated well in the glaze. In fact, I took my pan out after 10 minutes and turned the breasts around again in the glaze to coat them a second time. After the come out of the oven, the chicken will be glazed nicely and the sauce will be reduced substantially. After a good long bake. Take the chicken out and let it rest for five minutes. Return the glaze to the stove top. If you were not using an oven-safe pan, then scrape whatever glaze is left in your baking dish back into an sautee pan. Put this on medium-high heat and let it reduce even further. Add your final 3 Tablespoons of orange juice to the pan. It will give the final glaze a nice orange flavor and color. After it reduces for a few more minutes, pour it right on top of your chicken. Chicken and orange were made for each other. This was the most difficult of the 4 meals I made with my chicken, but it was very good. Even for chicken breasts it was incredibly flavored-packed. If you like this post, I would love it if you used the below icons to share it with the Internet. "the glaze is much better than anything I’ve ever had in a Chinese dish." Congratulations on the gross generalization of the week. I am now sad that I didn't push harder to make you try some decent Chinese food. Not that this doesn't look good. Ha! True. I'm not saying that there are not better orange chicken dishes. This was just better than the ones I've tried which I'll admit are probably all mediocre although still good. This looks great. I actually enjoy a chicken breast if it is cooked properly, so I am all about this one. this looks great! I love the way you're using this chicken! Wanted to let you know that I made this tonight for dinner and it was totally delicious. 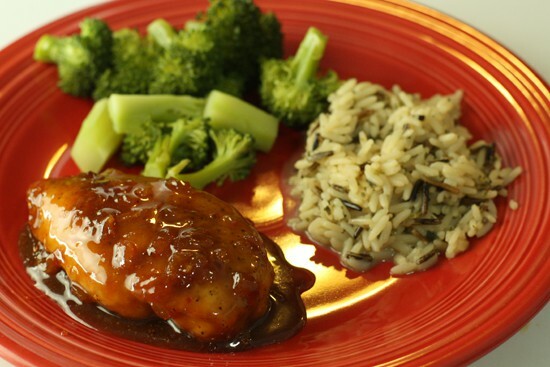 The glaze is awesome, I actually used dark meat chicken and served it with some vegetable orzo. I also wanted to point out that I think you missed noting where you added your shallots in the post. I added them to the glaze during the first reduction, it looks like that is what you did. oh that looks so YUM. I am Alwyays and forever cooking something "asian" flavor. I will try this!! The recipe was easy and tasted great ! I also used dark meat and added a bit more heat with a bit more red pepper flakes. With a little of the glaze and water I saute celery and carrots . I served it over the chicken. It really brought out the Asian Flair to this dish.. This was so amazing that it sent me to the hospital! OMG The man's a murderer! Plus, he added the cat to the dish! WE ALL KNOW IT!!! Dijon mustard in chinese food? Dijon = french? This doesn’t look too good; it doesn’t even call for deep-frying the chicken! It’s not chinese food… it just has a chinese feel to it. That’s just what the flavors reminded me of… not what it was supposed to actually be. You’re right though… traditionally the chinese dish is deep fried or wok fried and then tossed with the reduced sauce. I personally LOVE that it is not fried. I admire when there are healthier options to Chinese food. Not to mention, I think experience in cooking comes when one is able to mix ingredients that are not traditional to the norm and still make it work so congrats! 1. Hey, since you have the book, can you email me the recipe for orange chicken (chinese)?? Also, can you send me the recipe for french onion soup? 2. BTW, Have you EVER boiled your wings before frying them (breadless)?? Gotta be careful not to break the skin, but when you do it this way, but when you boil the chicken (in salt and poultry seasoning — almost like a brine) the cartilage gets released into the water, and the juice inside the chicken is thick!! 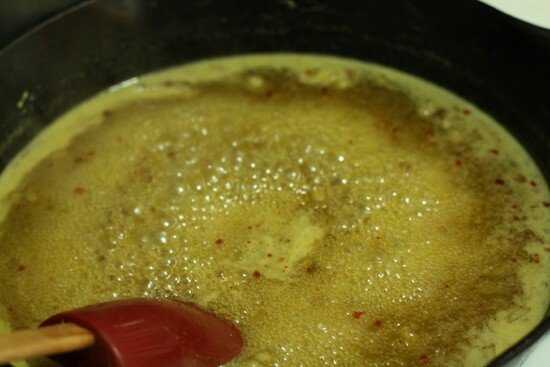 Then, just make some hot sauce with Frank’s Hot Sauce + Butter + salt. What!? The terms I used in my latest post, I use loosely, assuming you will understand. Hubby has a sweet tooth but hates chicken so I thought this might be a hit (it was!). I made a few minor changes ( used half orange juice and half marmalade) and doubled the glaze so there would be extra for rice . The recipe was easy to follow, the only thing I found confusing were the shallots – I had to come back and see if they were a garnish or to be added in the glaze at the end. Although listed – there is no mention of when and where (or perhaps I missed this). I will def use this recipe again but I would like to try adding garlic and also sesame seeds at the end. Really a nice glaze – thank you so much! I am a an amateur cook. I like decadent foods but we have invested home cooking now instead of eating out. And this was so simple and awesome to make. I worried it was not looking right but I did it anyway. I forgot the scallions and added a teaspoon of minced raw garlic. My husband is the chef of the house and he actually before me asking commented it was great. I like it was not fried. The wak intimidates me. We used 2 extra large breast. And it worked out great. Thank you for a simple and tasty meal. We had steamed broccoli as the side.